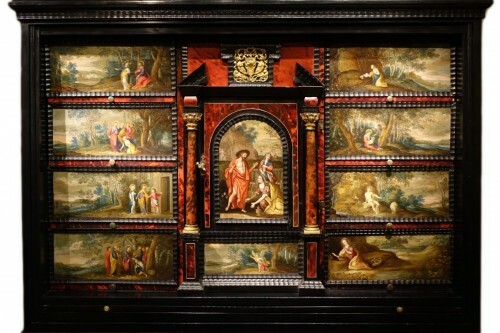 Exceptional Cabinet in two parts, Indo-portuguese, beginning of 17th century. 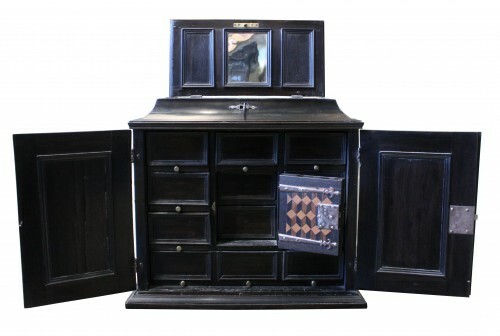 It presents in its upper part with a wavy decoration six drawers and in the last row three double drawers. 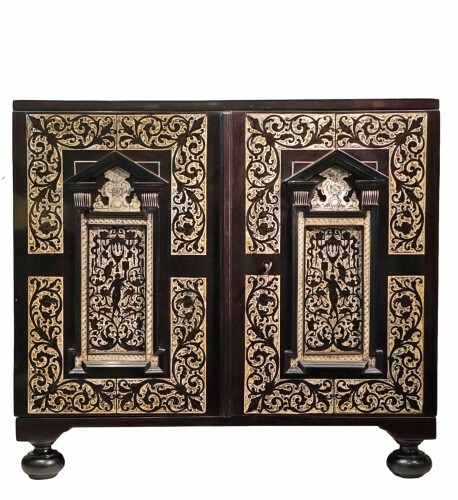 The lower part consists of a beautiful stand in turned and twisted wood, the cincture is richly carved and shows foliated scroll.